Participation in and promoting of interreligious dialogue has been an integral part of the Columban understanding of mission for many years. In a world where too often communities convulsed by conflict, or where diversity is seen as a challenge to be met rather than an opportunity to be taken, dialogue is the best way to build relations, promote peace, develop mutual understanding, build harmony, grow in truth and love and work collaboratively for the welfare of all people and all creation. What is involved in interreligious dialogue? Interreligious dialogue takes place at a number of levels; best described as dialogue of life, dialogue of the hands, dialogue the heart, and dialogue of the head. The Dialogue of Life is where people share as neighbours and friends the common challenges and experiences of life. The Dialogue of Hands is where people of different faiths come together to work cooperatively to help build a better world together. The Dialogue of Hearts is where, in an atmosphere of trust and respect, people from different faith communities share with each other their tradition of prayer and contemplation, worship and religious experience. Finally, Dialogue of the Head is where more formal theological discussion and exchange takes place, often in a more academic setting. In Ireland, the opportunity to engage in Interreligious dialogue is relatively new. 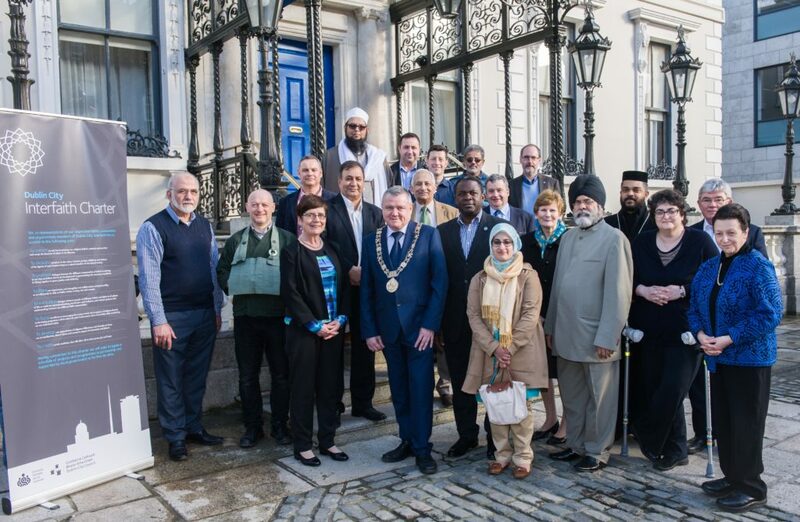 Five years ago, the Dublin City Interfaith Forum representing seven major faiths (Buddhist, Baha’I, Christian, Hindu, Islam, Judaism, Sikh) was set up. 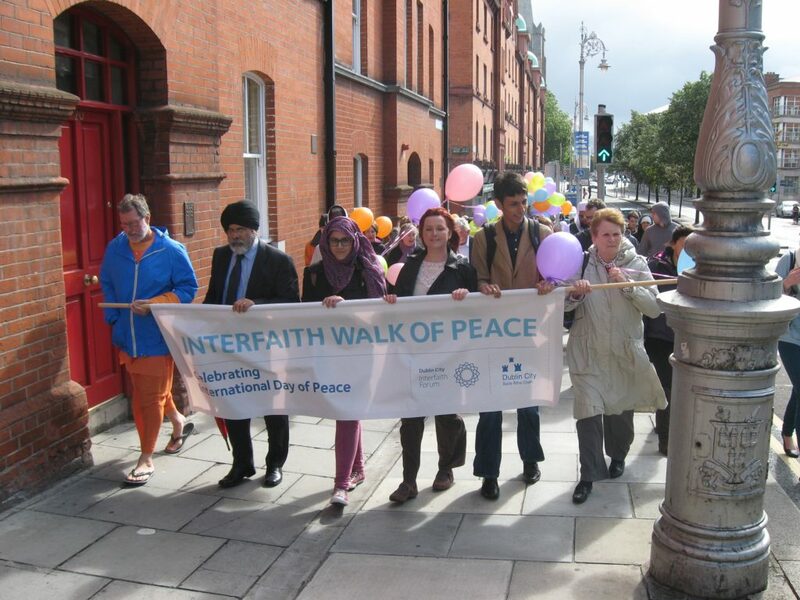 Situated in close proximity to a mosque, a Hindu ashram, a Buddhist centre and other faith communities, the Columban Centre in Dublin works closely with our friends in the Forum. Together we try and tackle common challenges of living in the city, and how we can improve our mutual understanding and support for each other. Our Faith in the City programme, where communities invite others into their place of worship, share their faith stories and traditions of prayer and celebration, builds real bonds between people. Public events, like the annual Interfaith Family Day, give witness to the wider community of how faith communities can live, work and celebrate together. 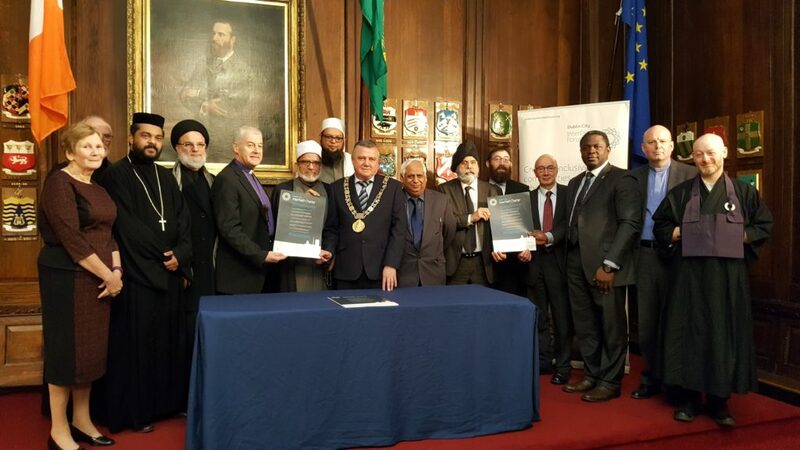 Seminars and conferences run in conjunction with the Irish School of Ecumenics and the Chester Beatty Library bring interfaith concerns and challenges into the academic world, while workshops in schools help to form the next generation of Irish citizens. With the help of the forum in Dublin other similar forums have been started in towns and cities around Ireland. 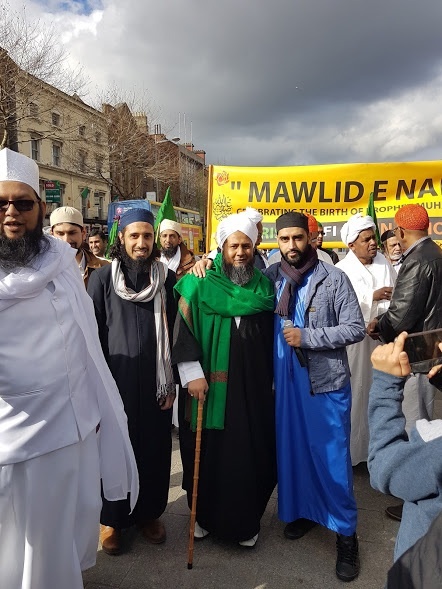 As well as helping to build better relationships and opportunities for collaboration with other religious traditions, interfaith dialogue has also a central role to play in promoting the value and contribution of faith communities to our common civic life, in a society which is increasingly secular. That in a way is a fifth level of dialogue – the dialogue of those from a faith perspective with contemporary culture and society. Finally, the common testimony of those engaged in interreligious dialogue is that their lives have been enriched by the spiritual values and religious commitment of the people they encounter; that their horizons have been expanded by insights into the many and various ways that God has entered into peoples’ lives, and they have been strengthened in their own faith commitment.